It's hard to resist banana splits, even if you really need two or more people to finish one off. Grownups like crêpes served belle hélène style: with poached pears, vanilla ice cream, and chocolate sauce, while kids can appreciate the simple pleasures of a "dusty road": cocoa sprinkled on top of vanilla ice cream — and stirred together until it's as smooth as soft-serve. And the truly hard-core like their scoops drowned the Italian way: affogato, or doused with a shot or two of fresh espresso. #(clear n1). [%image raspberry float='clear right' width=200]Raspberry Coulis. 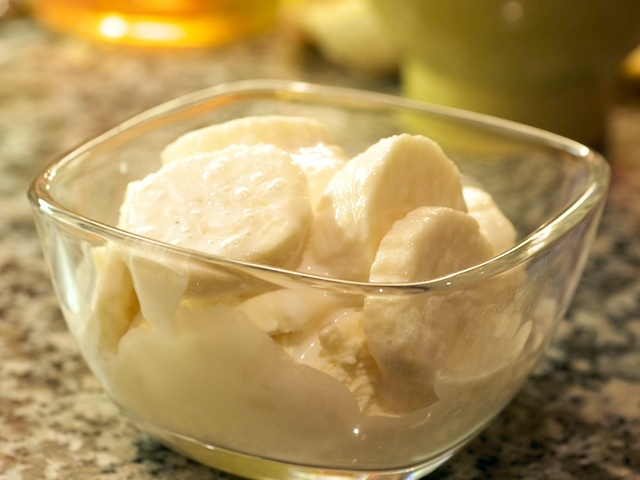 You can use this sauce in cocktails or over panna cotta, but it's fab over vanilla ice cream, too. #(clear n2). 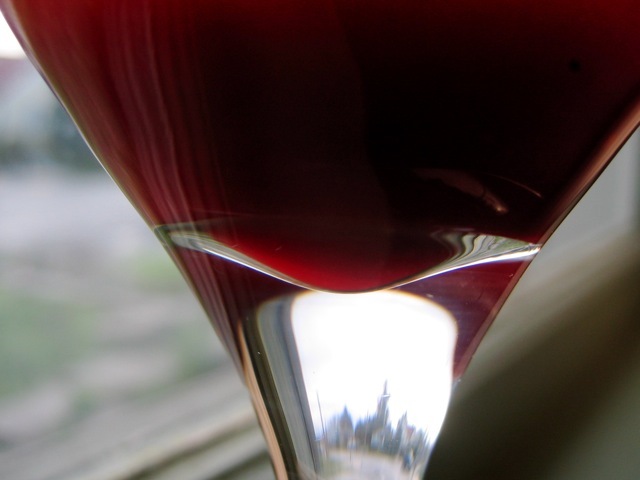 [%image blackberry float='clear right' width=200]Blackberry-Sangiovese Coulis. 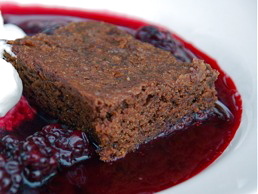 A rich berry sauce for grownups, with a kick from red wine. Try it on chocolate ice cream. #(clear n3). 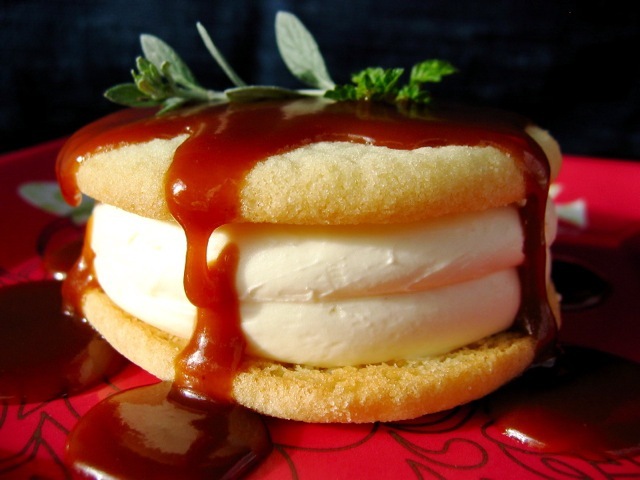 [%image caramel float='clear right' width=200]Caramel Sauce. This thick sauce is ready in almost no time, and it's far superior to anything you can buy at the store. #(clear n4). 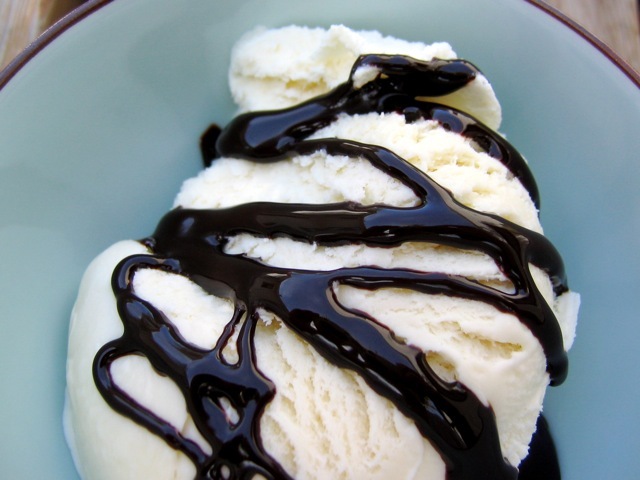 [%image chocolate float='clear right' width=200]Chocolate Syrup. The classic — except that this time you've made it yourself instead of opening a can of Hershey's syrup. #(clear n5). 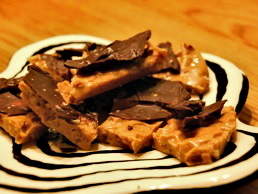 [%image reference-image float='clear right' width=200]Toffee Brittle with Chocolate and Sea Salt. Make a batch of this candy (it's faster to make than you think) and smash it up good for sprinkling on ice cream. #(clear n6). 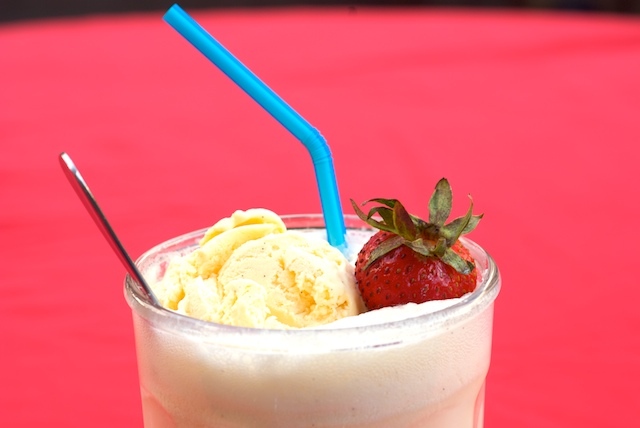 [%image soda float='clear right' width=200]Ice Cream Sodas. Ina Garten's take on ice-cream sodas is a quick-assembly dessert that can be easily served to a crowd — say, at your next garden party. #(clear n7). 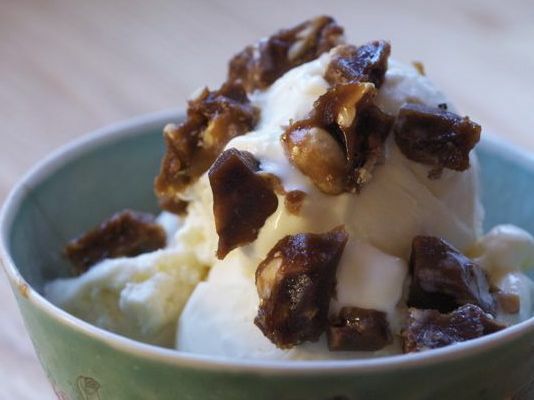 [%image bananas float='clear right' width=200]Ice Cream with Bananas, Rum, and Cream. Diane Morgan's quick-but-fancy banana dessert requires no cooking. #(clear n8). 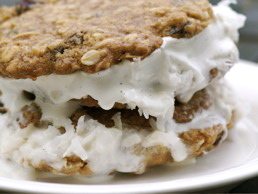 [%image sandwich float='clear right' width=200]Ice Cream Sandwiches with Honey-Oatmeal Raisin Cookies. Not a topping, but this David Lebovitz dessert is a grownup's version of those freezer-burned, paper-wrapped sandwiches you ate as a kid. And hey, the oatmeal and raisins make it healthy, right?